The African continent is a cornucopia of incredible destinations crammed with sights just waiting to be photographed. Some, like the Vic Falls, Ngorongoro Crater, and Kruger National Park have a convenient set-up that keeps a steady flow of local and international visitors clicking away all year round, but there are so many more that seldom see many shutters. Obscured by the remote or undeveloped nature of where they are or, sometimes, the political situation in the capital, they’re often firmly lodged on the line between worth-the-effort and too-much-hassle, even for those of us who are prepared to brave a few dodgy borders and make do with a bucket shower and a tree. 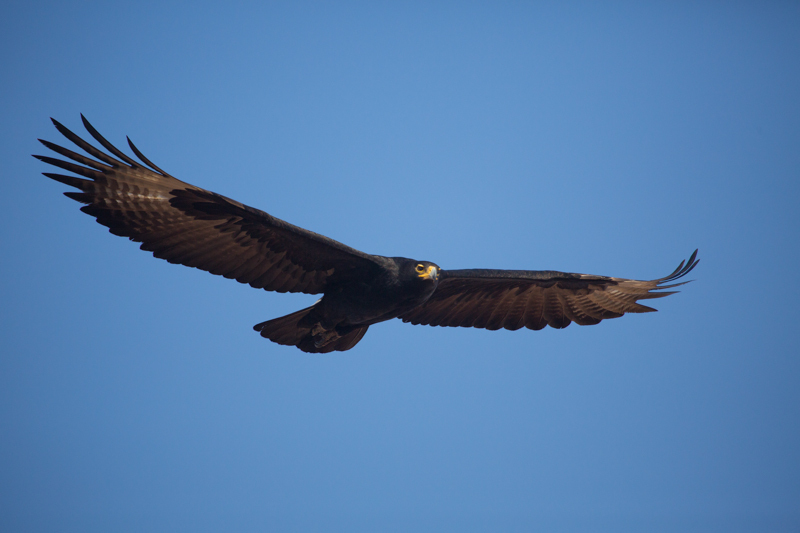 A relaxed Verreaux’s eagle photographed from the top of the Chilojo Cliffs. Chipinda Pools campsite is one of the most comfortable you’ll ever stay at. 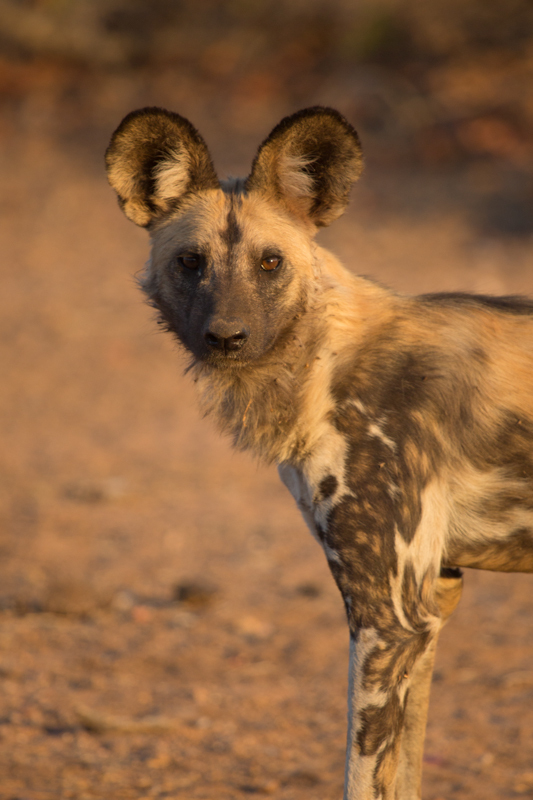 Wild dogs are often seen in the vicinity of Mabalauta in the south of the reserve. Elephants are common in the park, but are not as relaxed as in places like Kruger. 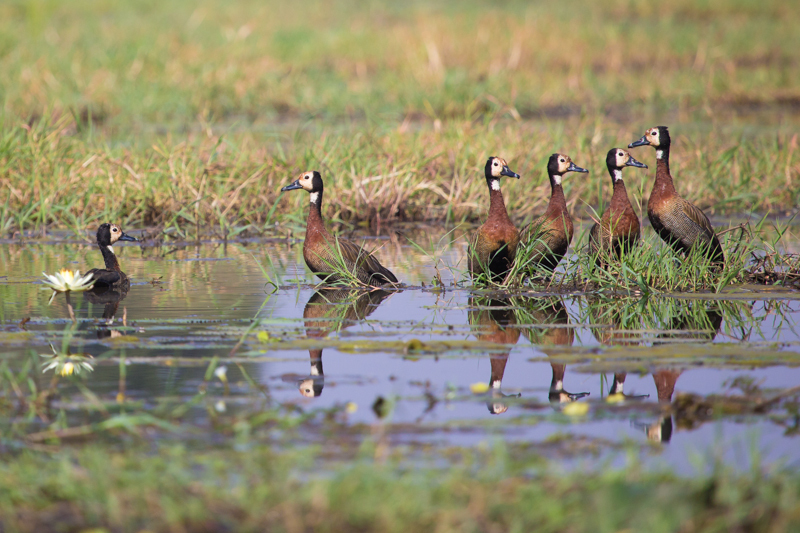 White-faced whistling-ducks are common at the edge of the seasonal pans. 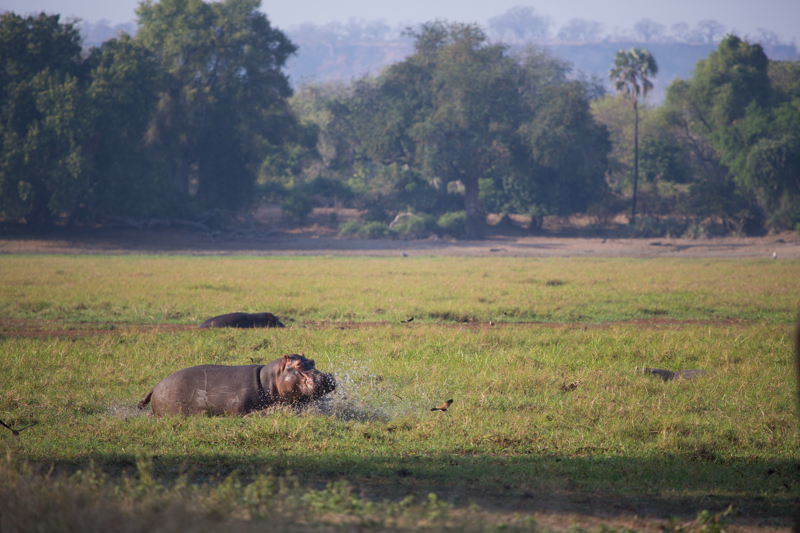 A hippo runs into one of Gonarezhou’s stunning seasonal pans. Look out for buffalo herds in the distance when visit the viewpoint on top of the cliffs. 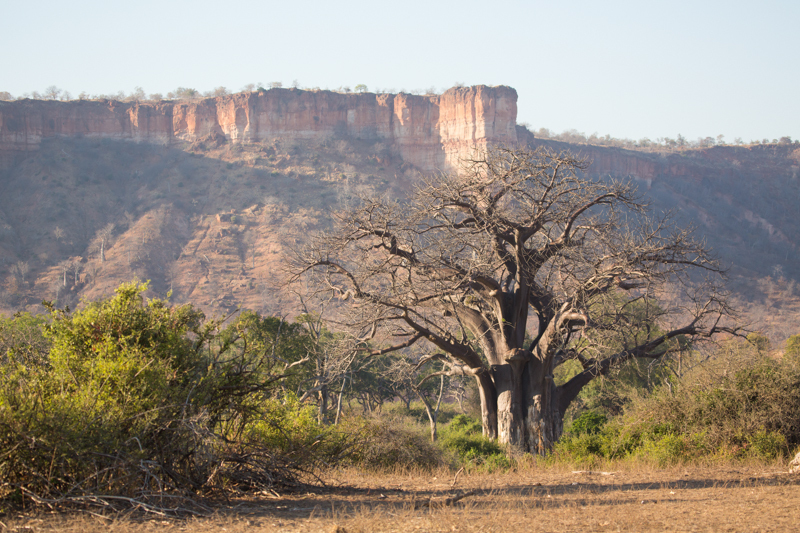 A number of gigantic baobab trees grow in the valley below the cliffs. Bull elephants can often be found drinking along the riverbeds late in the afternoon. The snaking Runde River photographed late in the dry season. 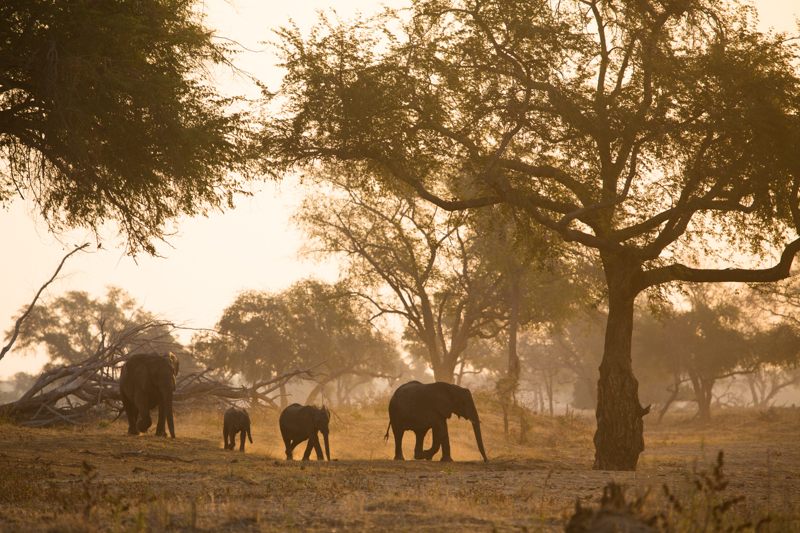 Gonarezhou National Park in Zimbabwe has found its way onto our radar as being well worth-the-effort – a bright light at the end of the dark tunnel that is crossing Beitbridge Border Post. In terms of landscape, there’s one sight that sets Gonarezhou firmly on the map: the Chilojo Cliffs. These caramel-vanilla-striped sandstone outcrops jut out from the earth like giant wafers overtopping the long, corrugated mopane landscape leading down to the Runde River. Verreaux’s eagles float between the striated crags at eye level to those who venture to the top for a panoramic view of the multihued greens of tamboti, ana, and sausage trees, and the vibrant yellow of sjambok pods in full bloom on the river’s banks. 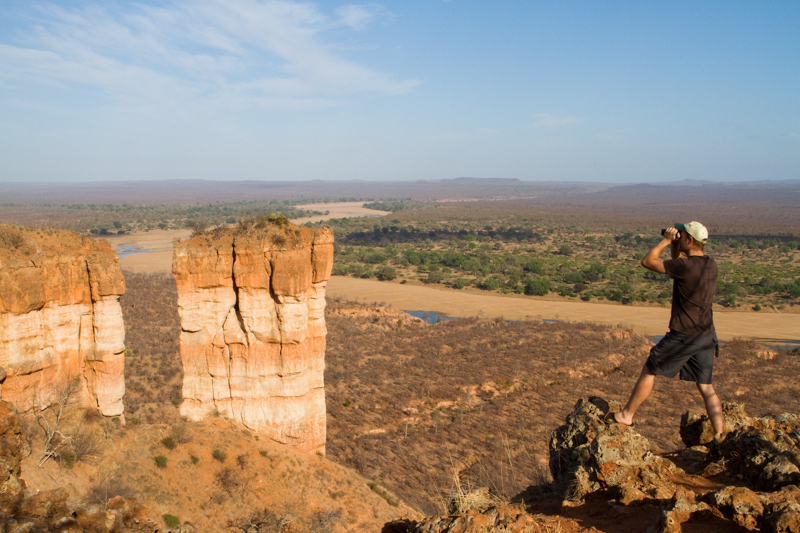 Many visitors to Gonarezhou come for the vast array of animals, drawn by the diverse flora of the region, but nobody leaves without a photo of (and from) the iconic Chilojo Cliffs. Not far from the cliffs are a couple of spots that stand out from the surrounding semi-arid environment in a most unexpected way. The Machaniwa and Tembwahata seasonal pans, while no Chilojo Cliffs, make up for what they lack in grandeur with extraordinariness. These well-hidden wetlands, tucked away between long stretches of mopane thickets near the Save-Runde confluence in the north-east of the park, attract such a spectrum of wildlife that spending a morning at the water’s edge is often more productive than going on a game drive. 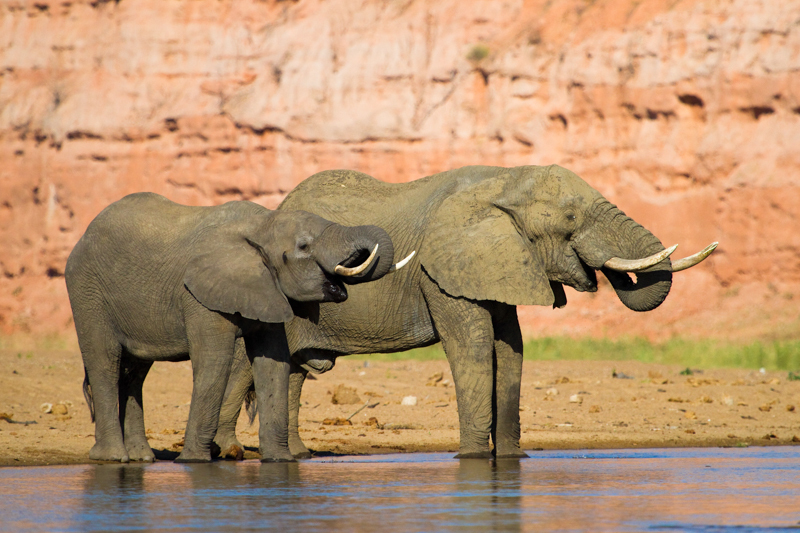 Elephants, hippos, a host of antelope, and waterbirds of all shapes and sizes, congregate on or near the water, scattering at the approach of the occasional predator. Even rarer species such as sable antelope, bushpig, and critically endangered wild dogs have been known to make an appearance. The rest of Gonarezhou leaves its mark on the memory for two main reasons. Firstly, three large rivers run through the park – the Runde and Save in the north, and the Mwenezi River in the south. The constant presence of water not only sustains the high volumes of game in the reserve throughout the dry winter months, but also soothes the harsh, desolate feel of many other semi-arid regions. For photography, there’s usually a splash of green, but the veld is also open enough for some pretty spectacular game viewing. Because the civil war in neighbouring Mozambique only ended in recent years, much of the game is still relatively skittish, especially the elephants. The reserve also carries very little traffic so, understandably, many of the animals don’t like it if you stop too close. Having said that, Gonarezhou is still fantastic for wildlife photography. You may not get close up portraits of everything you see, but you certainly have some of the most scenic backdrops in the world. Make sure you spend a lot of time along the Runde River where most of the animals congregate. Bull elephants can usually be seen drinking in the riverbed late in the afternoon, especially during the dry season (June – October), and are often joined by kudus, baboons, impalas and other general game. The view from the top of the Chilojo Cliffs are best early in the morning, so make sure you get up with the birds and remember to look out for those passing Verreaux’s eagles once you’re at the top. The most direct route from South Africa is via Beitbridge Border Post, but it’s worth driving the detour via Mozambique and the Pafuri and Sango border posts. There are park entrances at Mabalauta in the south and Chipinda Pools in the north, both of which sell a comprehensive park map for $5 (about R50). Roads are gravelled, well signposted and, for the most part, in decent condition. You’ll need at least a high-range 4×4 to get across some of the sandy river crossings in the more popular northern section. If you plan to drive through the remote centre of the park, it’s worth having a GPS with Tracks4Africa installed. 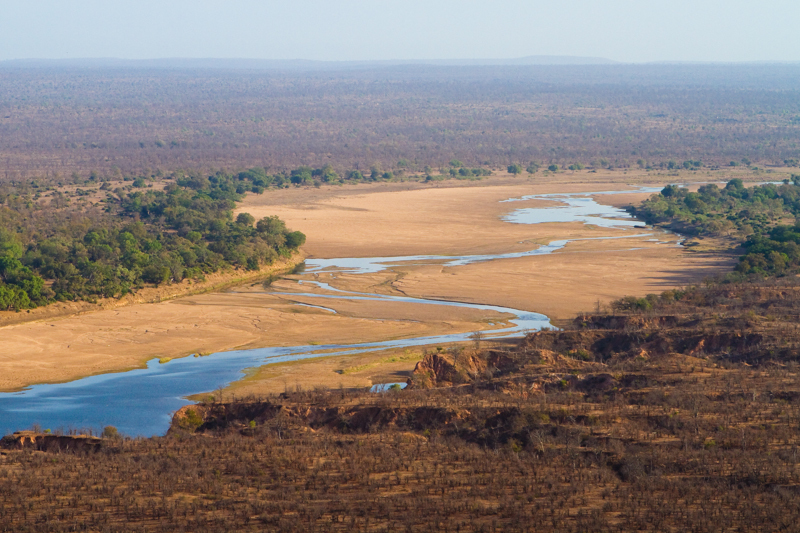 Gonarezhou is best during the dry season (June to October), since large, very scenic parts such as the Save-Runde confluence become inaccessible during the rainy season (November to April). 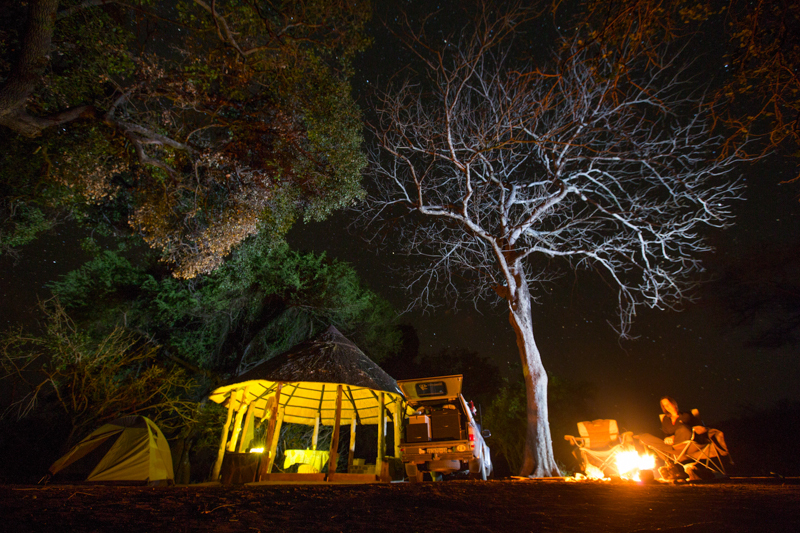 Book specific campsites well in advance and avoid South African and Zimbabwean school holidays. Chipinda Pools and Mabalauta campsites overlook a river, have braai areas, taps and cement tables, and are within walking distance of hot-water ablution facilities. Cost: From US$15 (about R150) a person a night (max six people and two vehicles). Hlaro for an unparalleled view over the Chilojo Cliffs and Runde riverbed, Chitove for tucked-away seclusion, and Chamaluvati for a prime game-viewing spot. Stands have large shady trees and a long-drop. Cost: From US$25 (about R250) a person a night (max 12 people and three vehicles). For a touch of luxury, stay at Chipinda Pools Tented Camp in the north or Swimuwini Lodge in the south. The former consists of four safari tents (up to four people each) with small kitchens, en-suite bathrooms, hot water and solar lighting, all overlooking the Runde River. Swimuwini consists of nine fully equipped thatch chalets (one to three bedrooms) with electricity, but no hot water (communal ablution facilities provide that). Chipinda Pools Tented camp: From US$100 (about R1#000) a night for two people. Swimuwini Lodge: From US$75 (about R750) a night for two people. For all the above, email [email protected] or visit www.zimparks.org for more information. The post Kruger’s Wild Zimbabwean Cousin Gonarezhou National Park appeared first on ODP Magazine.